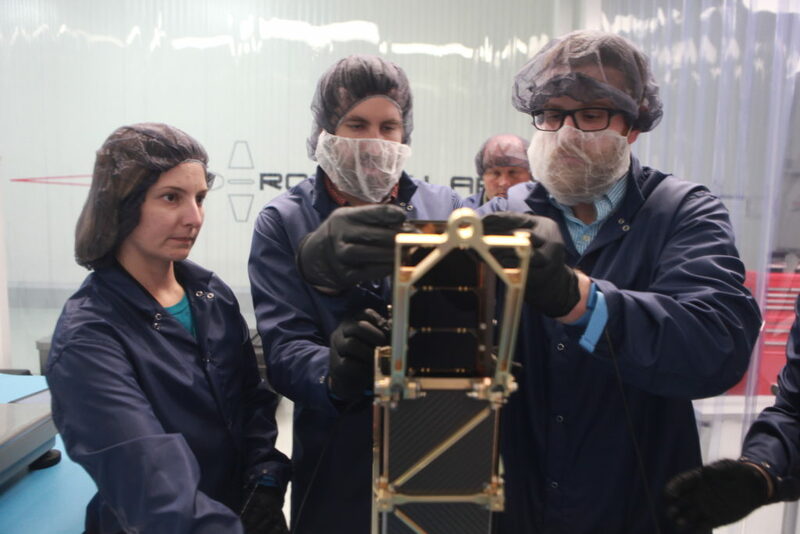 On Thursday, April 18th, 2019, the STF-1 team successfully down-linked another image that was captured on April 17, 2019, at 06:10 AM EST. The image was captured while STF-1 was traveling over West Virginia at an altitude of 500 KM. 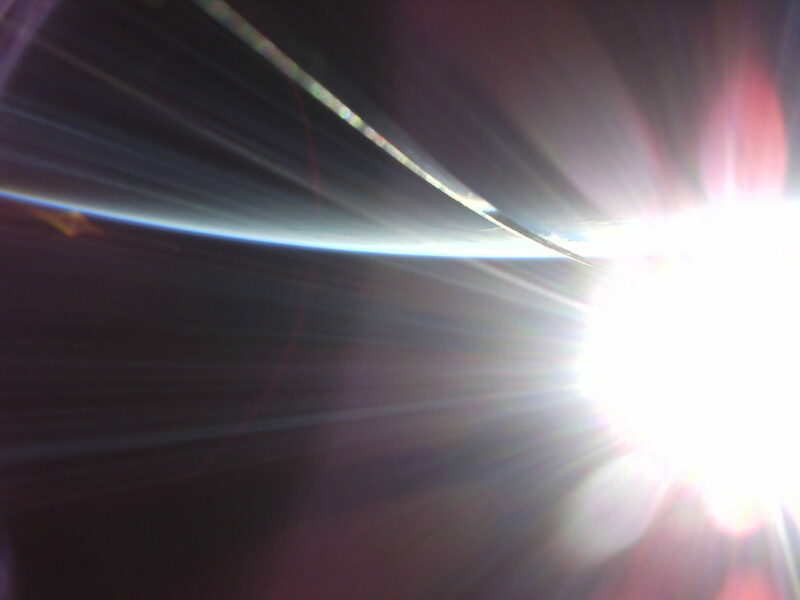 The image shows the sunrise on the Earth with its blue sliver of atmosphere being illuminated. As with previous images, the VHF antenna element is visible in the middle of the image. STF-1 Captures the always beautiful sunrise over West Virginia. Author STF-1Posted on April 25, 2019 April 25, 2019 Leave a comment on Sunrise over West Virginia! On Friday, March 15th, 2019, the STF-1 team successfully downlinked another image that was captured on March 8th, 2019 at 09:35 EST. 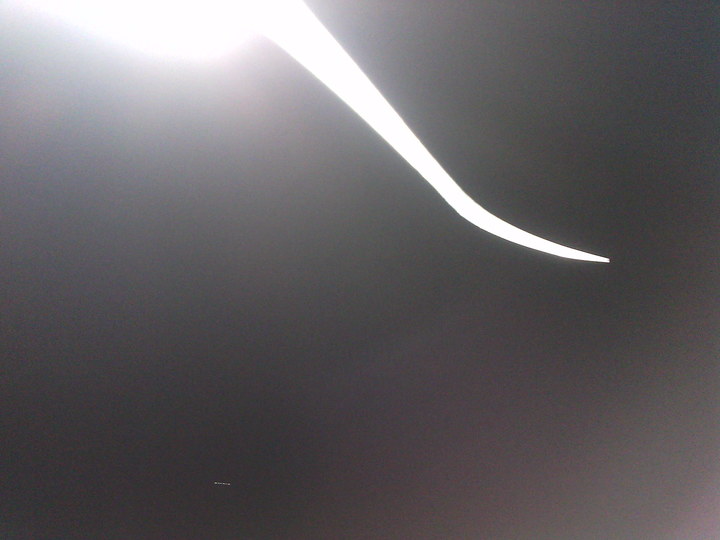 The image shows the curvature of the Earth, cloud cover, the blackness of space, and the Sun reflecting off of the deployed VHF antenna element. STF-1 continues to remain healthy and operating its experiments. Downlinks continue to occur daily. 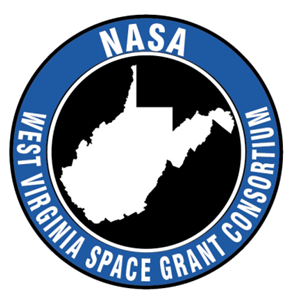 The STF-1 team is coordinating with the West Virginia University science teams and data analysis has started. 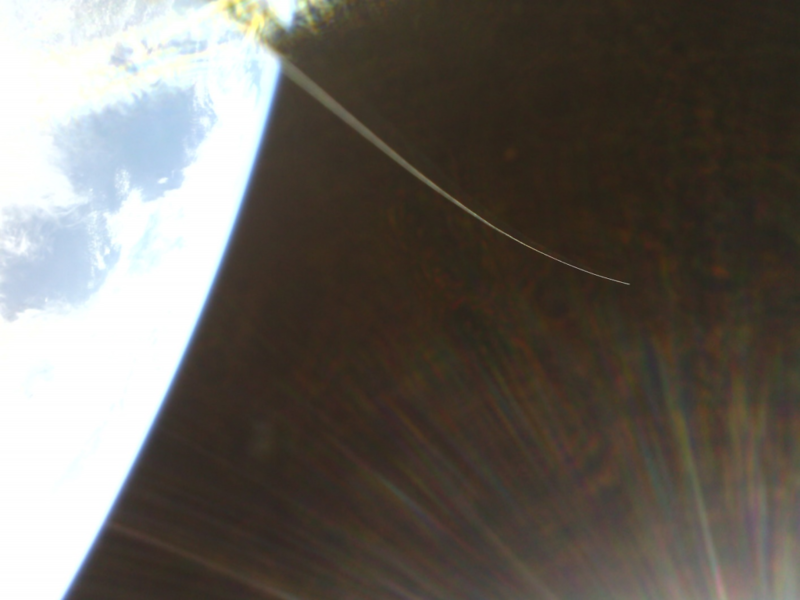 STF-1 - Sends home more postcard worthy images 500km above Earth! 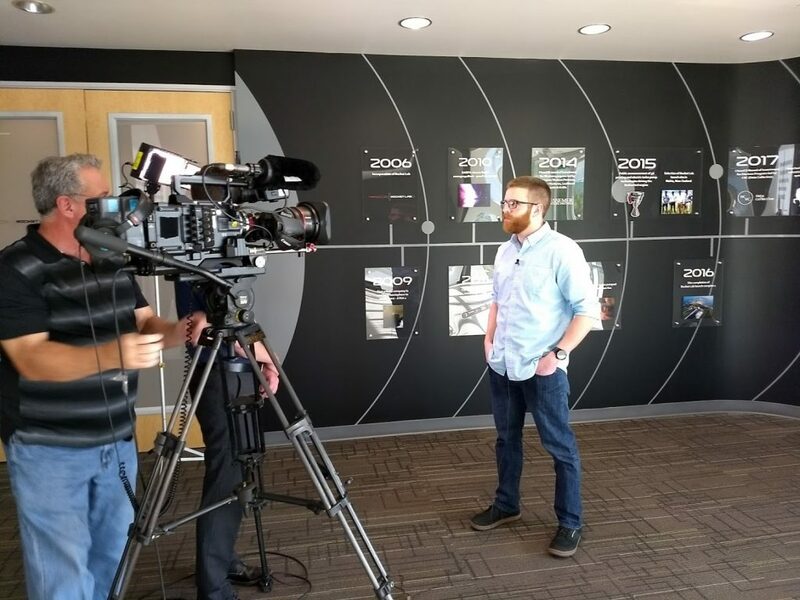 Author STF-1Posted on March 20, 2019 March 25, 2019 Leave a comment on New Image Acquired! Author STF-1Posted on February 25, 2019 February 25, 2019 Leave a comment on Paving the Way! This week marks the 4 year anniversary of the first meeting held to discuss the concept of STF-1. 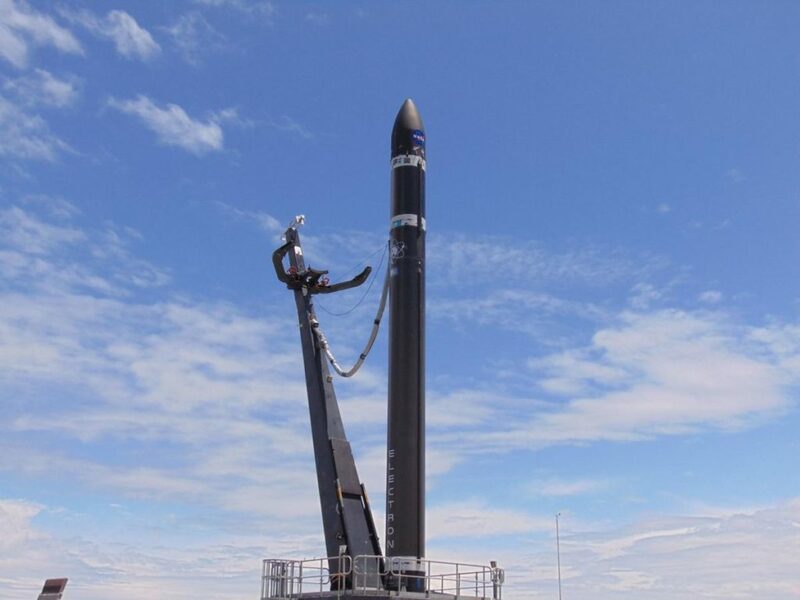 The pictures here show STF-1 being loaded into the TYVAK dispenser that will be mounted to the Rocket Lab Electron rocket for launch. 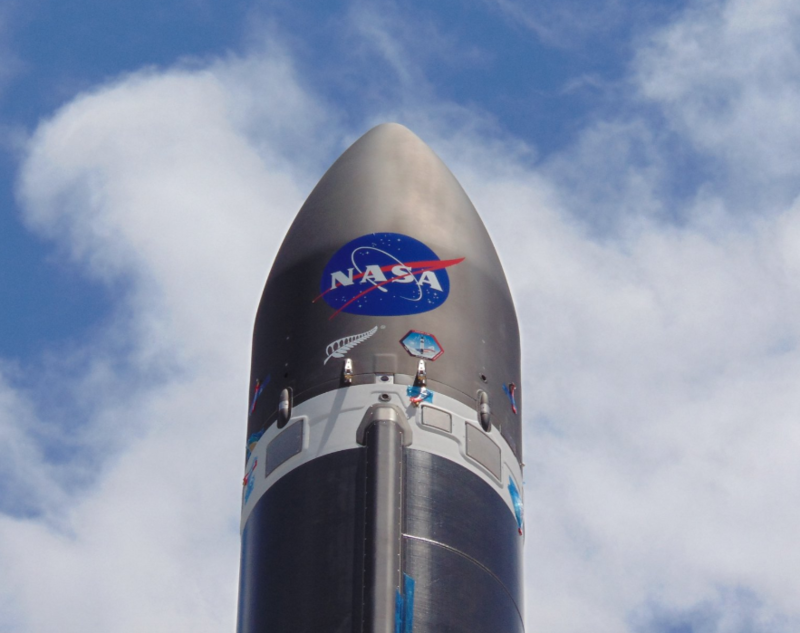 The current launch window is expected to be in December of 2018. Check back for updates as December approaches! 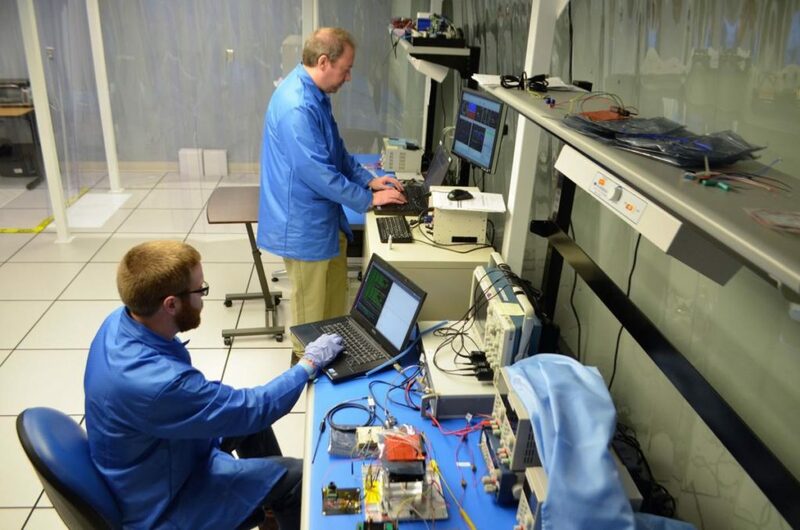 Engineer, Matt Grubb, measuring the STF1 cubesat . 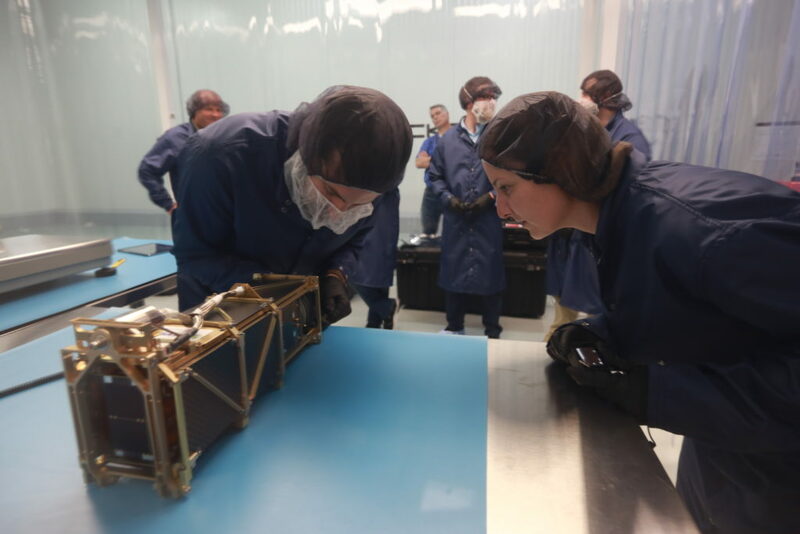 Engineers working with the STF1 CubeSats deployer. 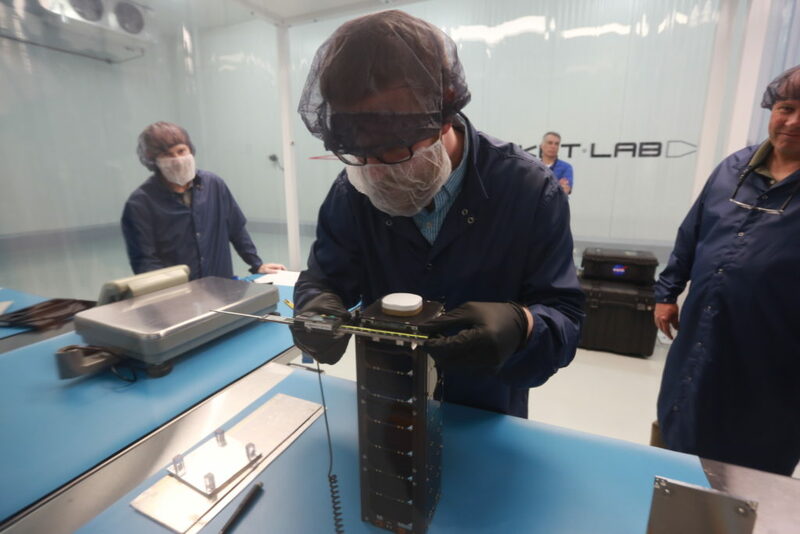 STF1 CubeSats getting loaded into the deployer. 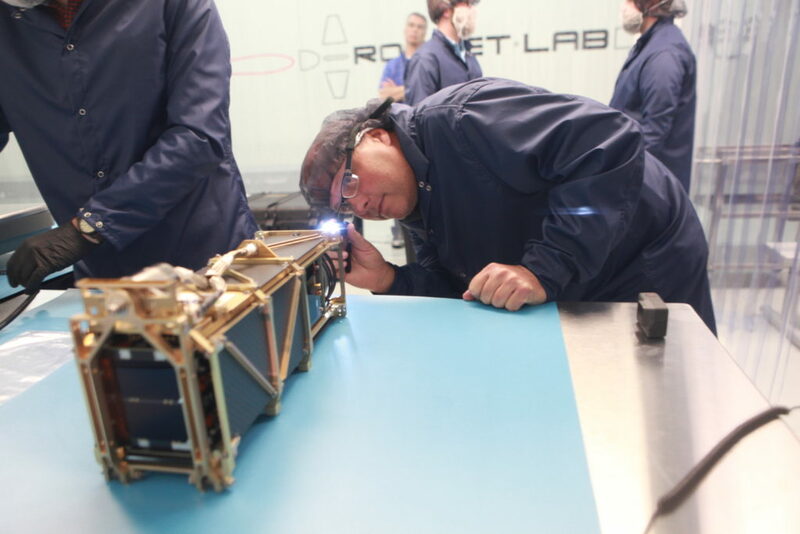 An engineer performs a fit check for the STF1 CubeSat. 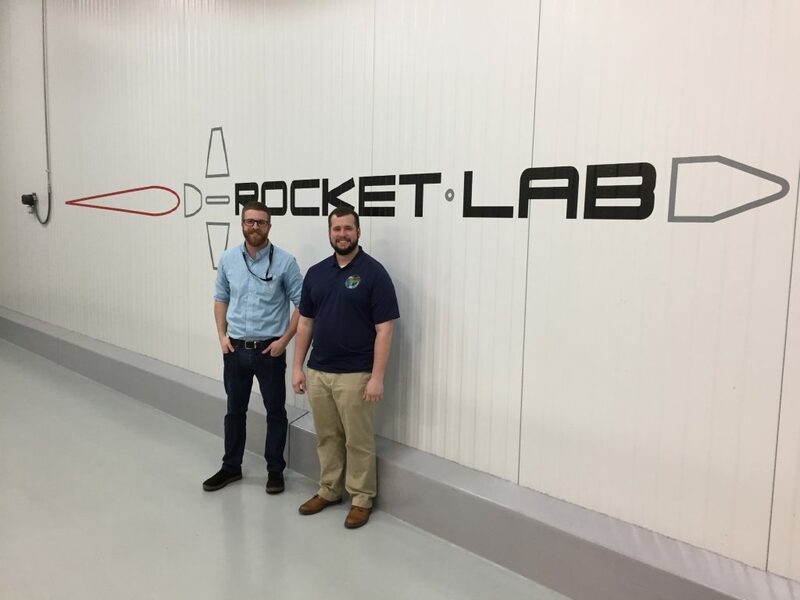 We are proud to announce that STF-1 has made it to the Rocket Lab facility in Huntington Beach, CA, and has successfully been integrated. 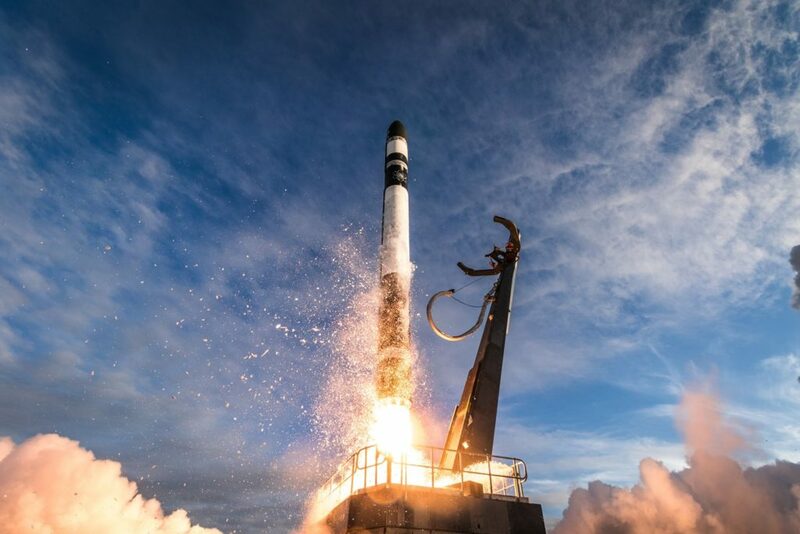 STF-1 will now make its way to Mahia, New Zealand. The launch window currently opens on May 30, 2018. The team anxiously awaits the launch of West Virginia’s First Spacecraft, Simulation-to-Flight 1 (STF-1)! Integration Engineers, Matt Grubb, and John Lucas. 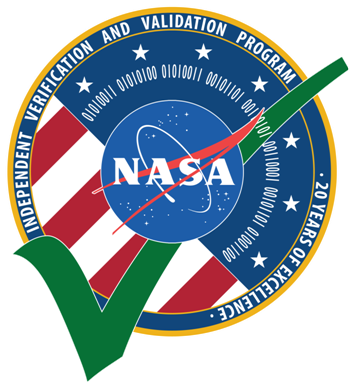 The thermal vacuum or TVAC facility is at Goddard Space Flight Center (GSFC), the parent campus of NASA IV&V. This facility has been used recently by the Dellingr team and proved they were ready for flight. First off, what does the TVAC (pictured below) do? This chamber holds the spacecraft in a vacuum, essentially removing the air around and inside of it. Unfortunately this does not mean the spacecraft floats around inside as gravity still has it’s effect, but this does change the thermal characteristics to those similar to space. 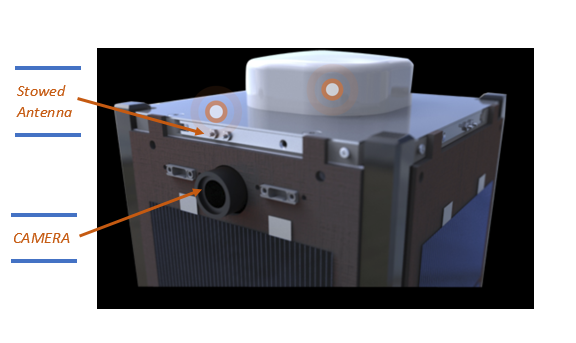 Without air the only means of transferring heat to the spacecraft from an external source is through radiation. This is possible due to electromagnetic waves. These same waves are what a thermal imaging camera detects, showing hotter objects as brighter colors and colder ones darker. The image below is of a deployed antenna system heating up while running. 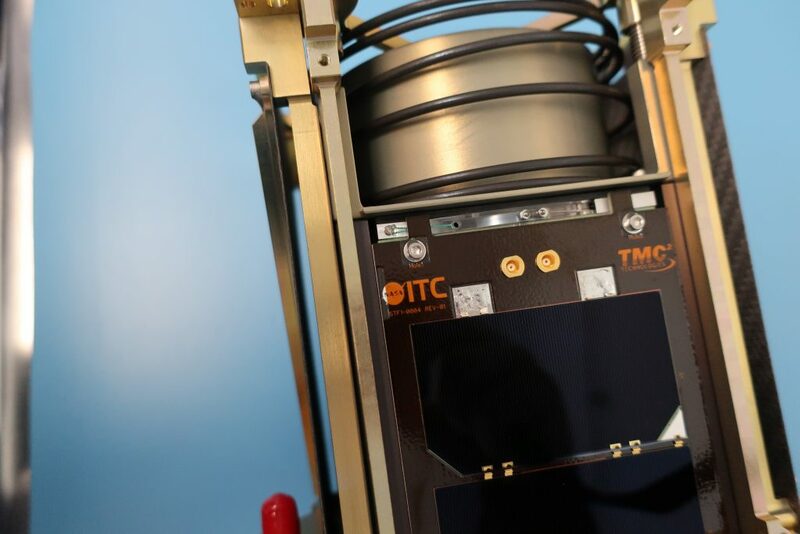 In addition to all the sensors inside the spacecraft, more were applied externally to ensure proper calibration of those mounted on each of the solar panels. 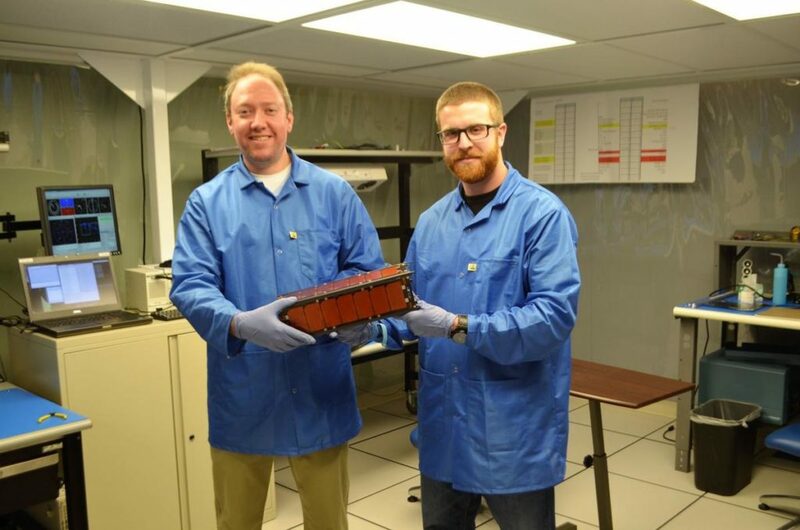 The spacecraft had to sit on special spacers made from a composite material. 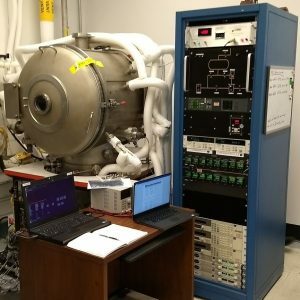 STF-1 in the TVAC chamber is shown below. Once everything was setup, the chamber was placed under vacuum and heated to 60 degrees Celsius or 140 degrees Fahrenheit for over six hours! 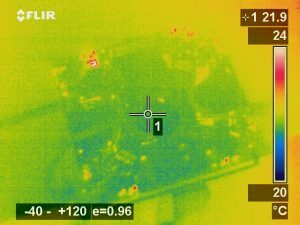 This ensured that all components had enough time to reach that temperature and proved that they would still function after exposure to those extreme conditions. After that, four simulated orbits were performed. The chamber would cycle from 50 degrees Celsius to 0 degrees Celsius or freezing. Tests were performed throughout these procedures and all passed! 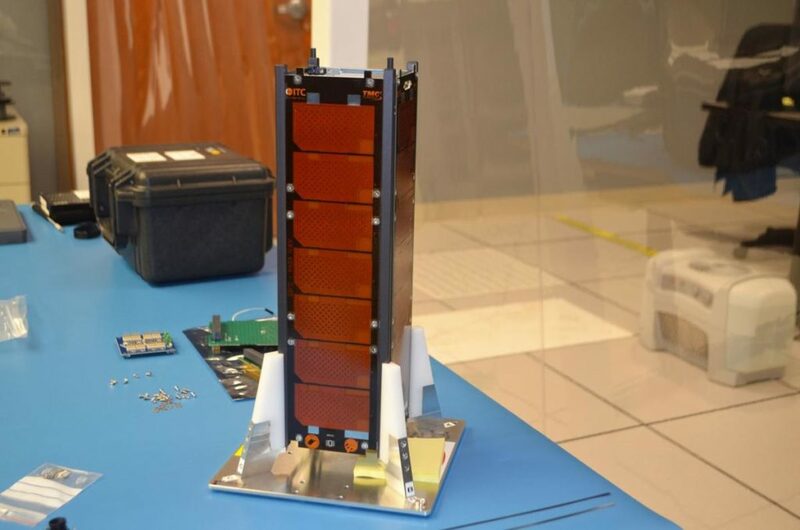 STF-1 is currently undergoing preparations for vibration testing in a couple of weeks. Once all the components that were ordered as a result of the integration fit check arrived, the assembly and wiring process could begin. Previously each unit or individual cube had been crudely spaced using spare standoffs and lots of washers. New standoffs of the correct sizes replaced these and allowed for much easier assembly of the entire unit, as well as fit into the chassis after the deep cleaning each component received in preparation for environmental testing. 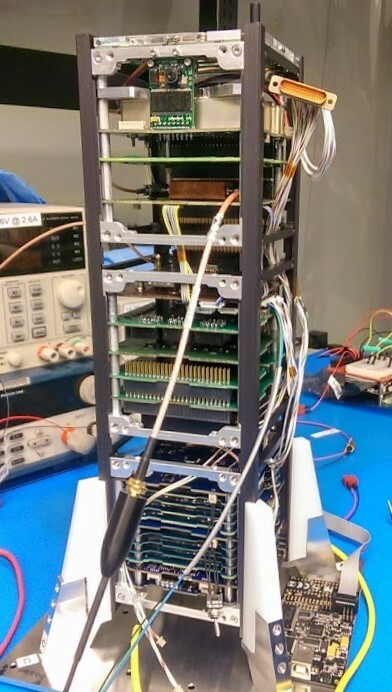 Although each of the components are connected to the stack or back plane of connectors making up the spine of the spacecraft, additional connections are required to reach external components as well as to jump certain things into or out of the spine. 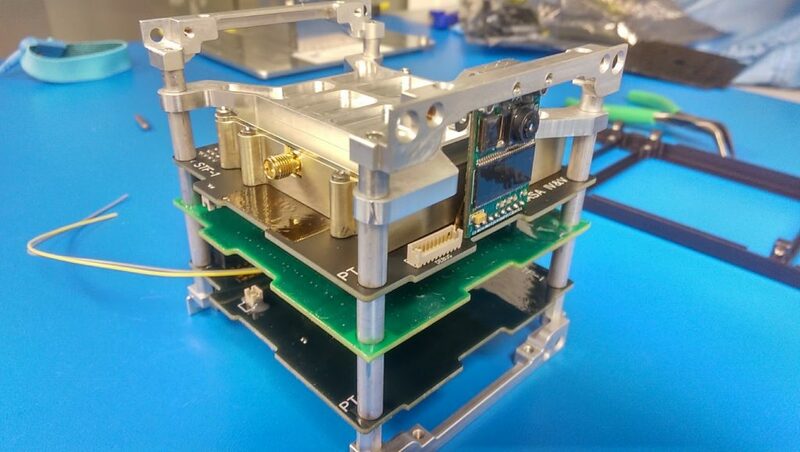 The image below shows a large portion of these connectors completed, but does not yet include all of the solar panels that will provide the power needed to charge the batteries and run the experiments on-board. The stack connectors are on the opposite side of the camera. The electrical power system wiring harness proved to be the most difficult as each face needed to be able to connect before you mounted the panel to the spacecraft. This required lengthening some of the planned cables and defining an appropriate assembly and disassembly process. The solar panel that has the whole for the camera will always go on last and be the first to come off should we need back into the spacecraft. 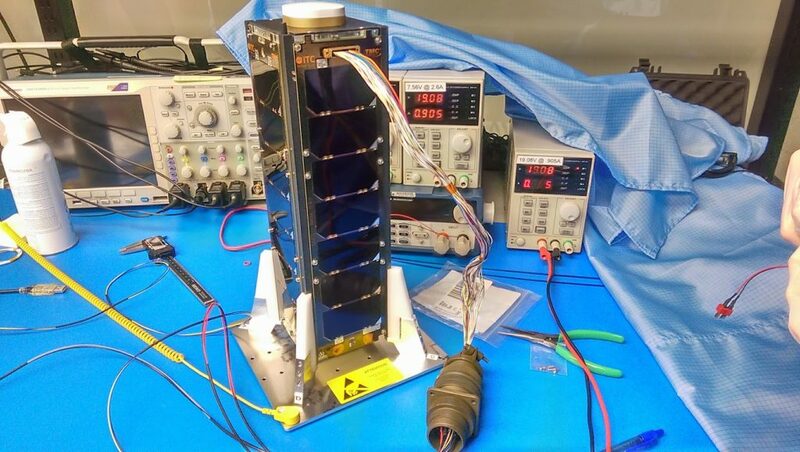 STF-1 with the solar panels, debug port, and remove before flight connectors is shown below. 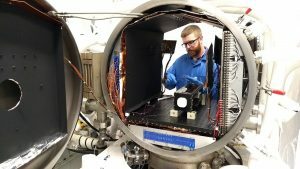 Some packing of tools and extra hardware is required prior to a trip to Goddard Space Flight Center (GSFC) for a week long thermal vacuum test, but for now all systems are operational.